Shorinji Kempo (少林寺拳法) is a Japanese martial art based on the use of physical principles and weak points rather than brute strength. It is an ideal form of practical self-defence, particularly against larger or stronger opponents. The system of techniques focuses on the balance between 'hard' strikes (kicks and punches) and 'soft' grappling (escapes, locks and throws). Training also incorporates restorative massage (seiho) and seated meditation (zazen), and emphasises mutual respect and cooperation rather than competition. Beginners are always welcome. Your first class is free, so why not come and give it a go. All levels and abilities welcome. £10 per class / £5 students. 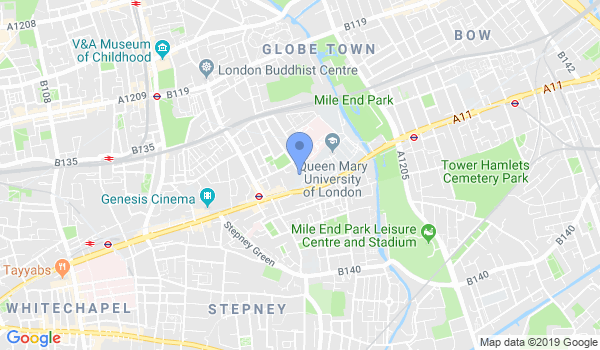 Would you like more information on hours, classes and programs available at East London Shorinji Kempo? Please contact the school with your questions. Update the details, Write a Review or Report Error of East London Shorinji Kempo.